Title: The Unknown Detective Career of...Isaac Newton? 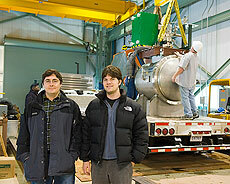 ArgoNeuT Spokesperson Mitch Soderberg and graduate student Josh Spitz accompanied the ArgoNeuT detector to the MINOS hall. Almost every weekday since January 2009, Yale graduate student Josh Spitz has gotten his hands dirty taking care of the liquid argon ArgoNeuT detector. He has worked 350 feet underground, piecing together parts and going to check on it one, two or three times a day. "You have to have everything working very well to keep that liquid argon cold and the detector happy," Spitz said. "We would measure the purity of the liquid argon, listen for strange noises and make sure everything was running smoothly." This month, he can finally focus on the fruits of his and other collaborators' labor: the first few thousand records of low-energy neutrino and antineutrino interactions detected using liquid argon. The ArgoNeuT collaboration ended the test experiment's physics run of a little more than five months on Feb. 22 and removed the detector from the MINOS underground hall. "ArgoNeuT has benefited enormously from the efforts of many talented members of the Fermilab community," said ArgoNeuT Spokesperson Mitch Soderberg. "We couldn't have pulled this off without their help." ArgoNeuT, which stands for the Argon Neutrino Test project, is the first liquid-argon detector of its kind to study low-energy neutrino interactions. 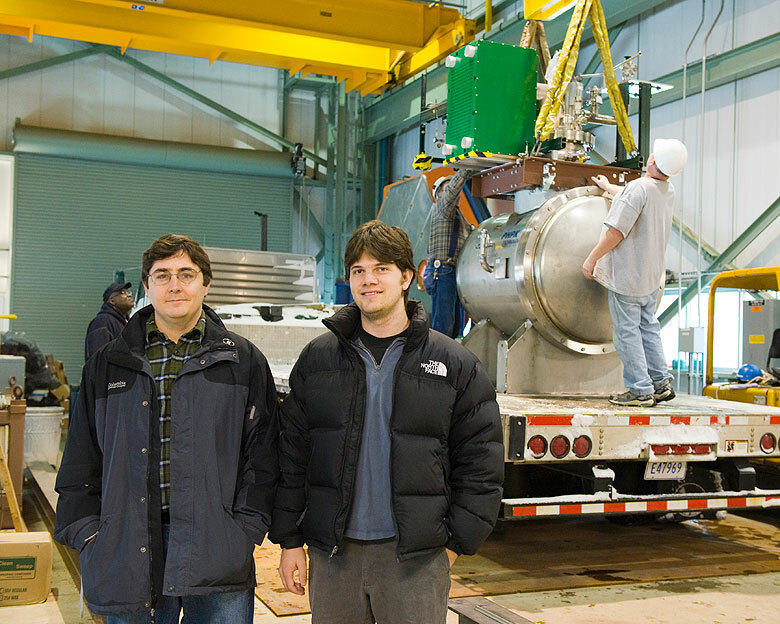 Scientists hope to build on their experiences with the 170-liter liquid argon detector with a new experiment, the 89-ton MicroBooNE detector. "ArgoNeuT is a test in that sense," Spitz said. "But it's able to do important physics measurements as well, which is impressive, given the size of the detector." Spitz is one of four graduate students who will use data from ArgoNeuT to write their theses. Participating in the small, 20-member collaboration means being involved in almost every aspect of design, construction, maintenance, commissioning, data-collecting and now analysis. "ArgoNeuT was my first baby," Spitz said. Now he gets to try the real thing; on March 2, he and his wife welcomed their first child, a daughter named Abigail. 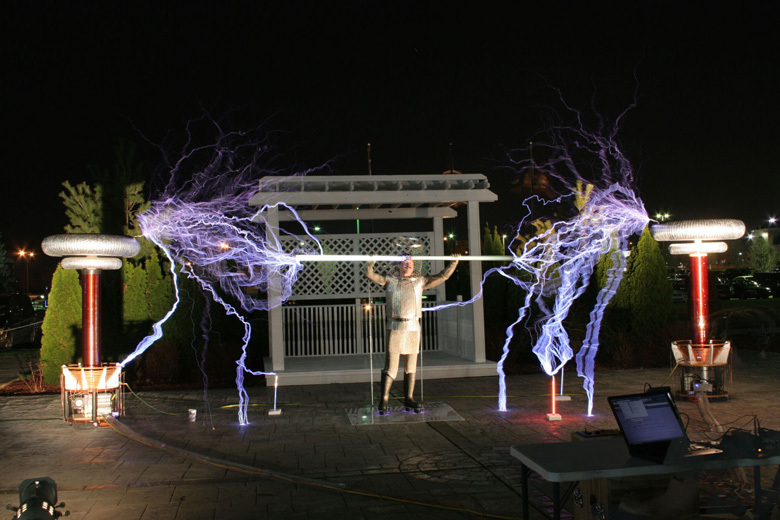 The Masters of Lightning, who performed at the Fermilab Users Meeting in 2009, will present their amazing lightning and music show at the SciTech Night at the Museum on Saturday, March 20. Former Fermilab Director and Nobel Laureate Leon Lederman will speak. Doors open at 6 p.m., and the program starts at 7 p.m. SciTech will also offer refreshments, raffle tickets for purchase, a silent auction, video games and more than 200 hands-on activities and displays for the entire family. Tickets are $20 for adults, $10 for kids 12 and under, and free for kids 3 and under. For more information and to reserve your tickets call Penny at 630-859-3434, x218. One universe too many? String theories, the multiverse and the future of physics. Either there is far more Universe to the Universe than we ever expected or the frontiers of physics may be wandering into a mathematically beautiful but ultimately sterile aether of dubious substance. "The scientist should treasure the riddles he can't solve, not explain them away at the outset". That is what Roberto Unger a Harvard philosopher told me when I interviewed him for a piece I was writing on alternative approaches to "fundamental physics". The story, which appears in this month's DISCOVER, was born from questions I ran up against as I prepared to teach a graduate cosmology course last year. While cosmology is not my own research area I have, for years, watched from the sidelines as the field evolved. And like a number of colleagues I have been puzzled by developments that seem potentially troubling. 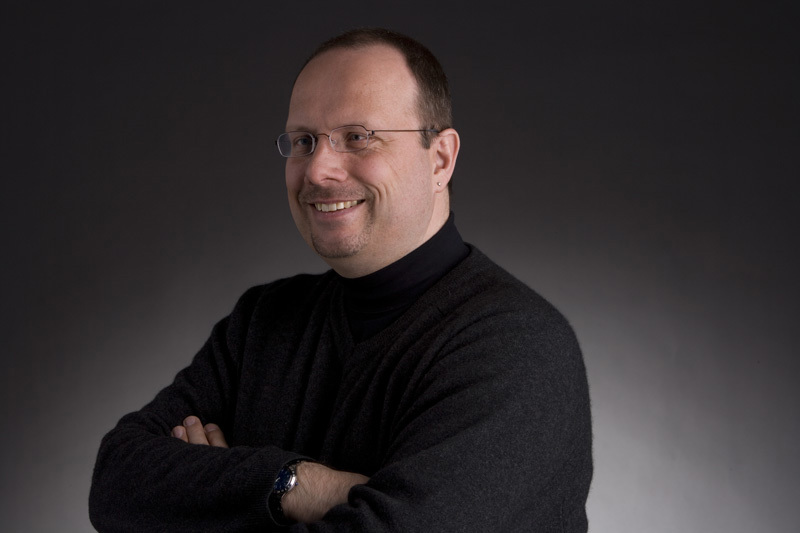 Lothar Bauerdick, head of the CMS Center at Fermilab, wrote this week's column. CMS has made good use of the time since the LHC pilot run last year, which started the LHC physics program with its first proton-proton collisions on Nov. 23. The machine delivered to CMS a luminosity of about 16 inverse microbarn at 900 GeV, and CMS recorded data with a high 87 percent efficiency. In terms of physics, this was a tiny amount of luminosity, but commissioning the detector and getting a first glimpse at physics data was huge for CMS! The full data-processing chain worked well, and data was rapidly available for analysis at Fermilab and at computing centers around the world. CMS has published nice results rather quickly, showing outstanding detector performance that in many cases is already close to the expectations in the technical design reports. Some of these results have been highlighted in Fermilab Today, such as the identification of particles starting with the pi-0, to last week's Result of the Month, featuring the Xi-baryon. The CMS collaboration's first physics paper measuring charged particle distribution was accepted for publication in February. These results show that the Monte Carlo simulation of LHC physics works well and is in excellent agreement with the data at 900 GeV. This year by going to higher center-of-mass energies, we will start to explore new territory. During the shutdown, CMS opened the detector for repairs and to exchange bushings in the end-cap yokes to prevent risks of corrosion and leakage. This difficult operation was successful and showed that CMS could open and close the detector even during a two-month shutdown. Collaborators completed a huge amount of work, and CMS restarted 24/7 operations on Feb. 8. Now beams are back in the LHC, and after a couple of weeks of commissioning at 450 GeV and first ramps, CMS observed collisions again this weekend. Operations at 7 TeV should start in a few weeks, marking the beginning of a long run to collect 1 inverse femtobarn of data at that energy. CMS expects to collect a few inverse picobarn of 7 TeV data before the summer -- and that already will be a factor of 1 million over the initial pilot run. CMS is ready for the run, and we should see plenty of great physics results at the summer conferences. This week's safety report, compiled by the Fermilab ES&H section, includes two first-aid-only injuries. One employee received a small laceration when hitting his hand on the corner of a transformer. Another employee received a wooden splinter in his fingertip. Find the full report here.